16 min January 14th, 2019 History Of Cannabis Cannabis is the sacred herb. Known by many names and consumed all over the World for ages. Weed has evolved with mankind. Here's some cannabis history - Stick that in your pipe and smoke it! 6 min September 7th, 2018 Magic Mushrooms: Everything You Need to Know We take an in-depth look at magic mushrooms, their history and origins, their various uses, how to cultivate them, and much more. 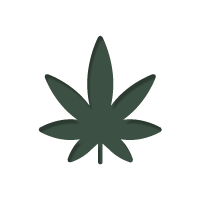 4 min June 19th, 2018 Landrace Strains: The 5 Oldest Cannabis Strains Landrace strains are the foundation of all modern strains out there. Let's explore the origins of these ancient varieties and the unique features of each. 4 min June 15th, 2018 The Origin Of Amnesia Cannabis And The Top 3 Amnesia Strains Amnesia is one of the most popular strains out there and not by luck. In this blog, you'll understand more about the strain and how to grow these incredible plants. 4 min March 30th, 2018 The Origin Of AK-47 Cannabis And The Top 3 AK-47 Strains As if the original AK-47 sativa wasn't good enough, here are 2 other strains that some argue to be even greater. Prepare your grow room because you’ve found your next strains of choice. 3 min February 19th, 2018 The Origin Of Cheese Cannabis And The Top 3 Cheese Strains From their attention-grabbing aroma to their pleasant flavour, there's more than one reason to fall in love with a Cheese cannabis strain. So, let's learn all about the top three, shall we? 3 min February 9th, 2018 Nederwiet! All About Dutch Weed And The Top 3 Cannabis Strains Created In The Netherlands Nederwiet has become the symbol of ganja innovation. Dutch breeders changed the world of pot. Click here and absorb some essential stoner info.